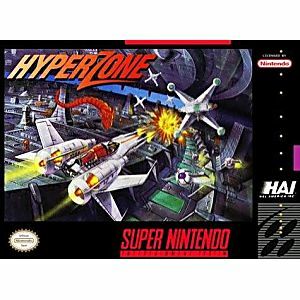 HyperZone SNES Super Nintendo Game Cartridge Cleaned Tested and Guaranteed to Work! Classic. I remember playing this as a kid. Great shooter that isnt too difficult and quick to beat. Good soundtrack. This is a really great game. 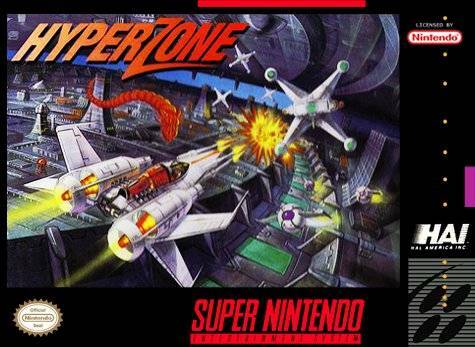 Growing up I played a lot of SNES shooters. 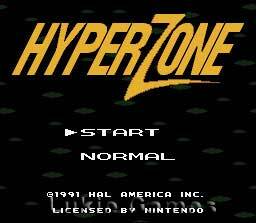 However, I had never heard of HyperZone until I found it on Lukie. When most people think of HAL Laboratories they think of the Kirby series, but HAL has made many other great games as well. This is a forward moving shooter that is challenging for new and veteran players alike. 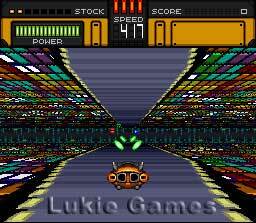 i actually got the game because it kind of looks like f-zero haha, but more importantly it does happen to be a simple and fun game to play quick. haven't gotten very far but over time you just kind of get more and more used to what's going on.